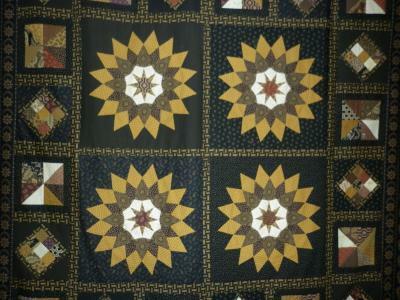 Last week Meredithe announced the first round of the Medallion Quilt-a-long. Triangles!!! And I couldn’t wait to get started. I chose to set my centre on point and square up with half square triangles. 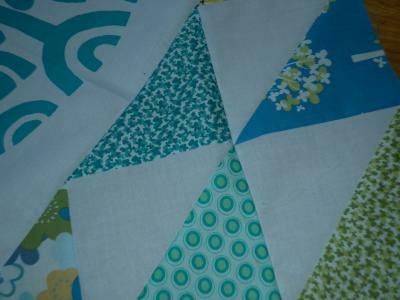 (Meredithe actually has a great tutorial coming on how to do half square triangles as soon as SOMEONE (aka ME) gets the photos to her….) Anyway, here’s the results. There’s at least 10 people joining in the fun and you can see everyone’s progress photos in this flickr group. It’s not too late to join in if you are keen – we have all of September to get the first border done and M will announce the next border at the start of October. 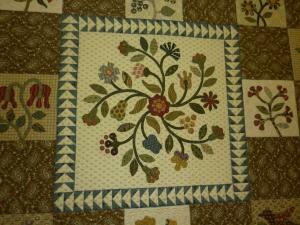 On Saturday I visited Quilts in the Barn which was great as always. Linda does such and amazing job organising this great event which raises lots of money for Breast Cancer Research. 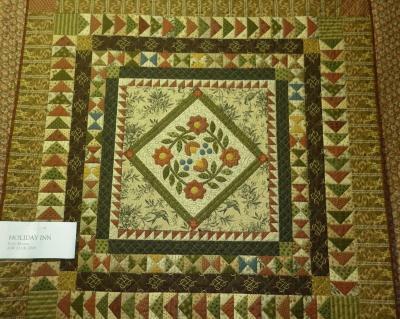 This year’s display feastured Jo Morton’s gorgeous quilts. 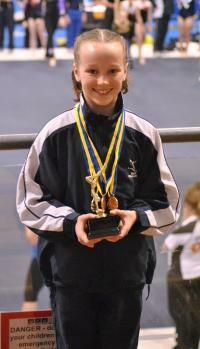 And Sunday although it was Fathers’ Day I spent a HUGE proportion of the day at gymnastics comps. The two elder girls both competed (which is why I was there for SO long) and both did a great job but the proud mother part in me can’t resist telling you how well Lucy did in her level 4 comp…..individually she won first on floor and bars and first overall and her team came third!!! Well done Lucy, we are so proud of you and your hard work. 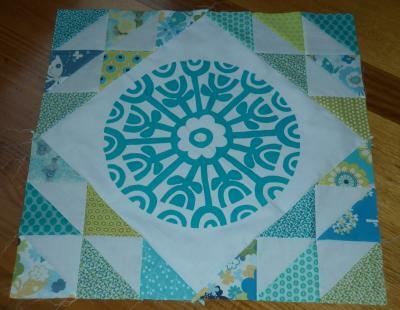 Hi Jan, I love the start to your quilt and especially the colours, looking forward to seeing it in real life. I am impressed it is only Sept 6th and you are on target, well done. 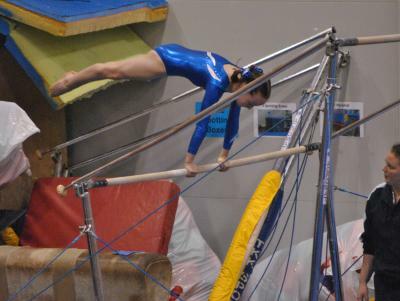 Well done to Lucy she looks really strong in her movements, she is a braver girls than me when it comes to gymnastics. Well done Lucy. I love what you’ve done with those triangles and turning the centre on point! I am still in dilemmas about what to do with mine – I think that I’ll be sticking to simple. Well done to Lucy too. 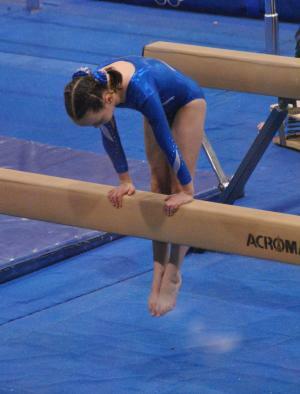 Clare has her first every gymnastics competition this weekend!